The accurate estimation of the electromagnetic field over a wide frequency band in composite material enclosures has a major importance with the generalization of the use of these materials in many domains like in aeronautics. This capacity is compulsory in the context of lightning or HIRF environments to make an evaluation of the electromagnetic field at the equipment locations, or parasitic currents induced on the wiring. “Face Centered Anisotropic Surface Impedance Boundary Conditions in FDTD” by IEEE members: D. Flintoft, S.A. Bourke; J.K Dawson, J. Alvarez, M.R. Cabello, M. P. Robinson and S. G. Garcia. The paper introduces a new “Face Centered” formulation of anisotropic surface impedance. AXS-E3, from AxesSim, comes as well with a BIBC implementation derived from the classical formulation. To us, it seems interesting to compare AXS-E3 and the “Face Centered” implementations. 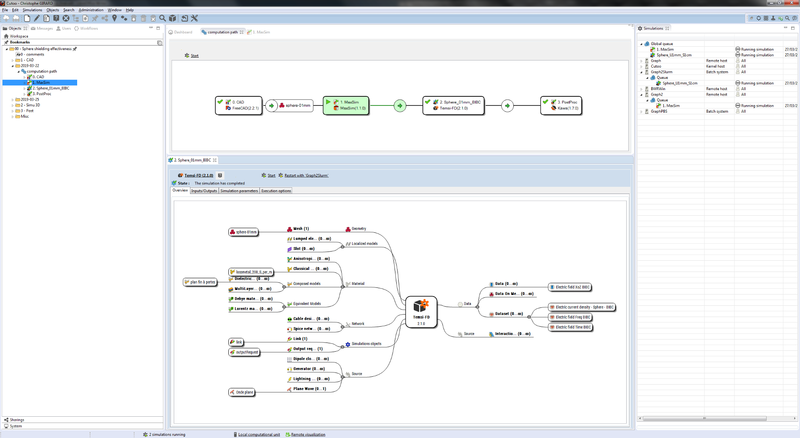 CuToo is an efficient framework and a complete platform integrating simulation software products of a domain model in order to build a whole simulation tool for a given problem. Note: we can see in the preceding picture that CuToo can handle several batch queues managed by different batch job management. 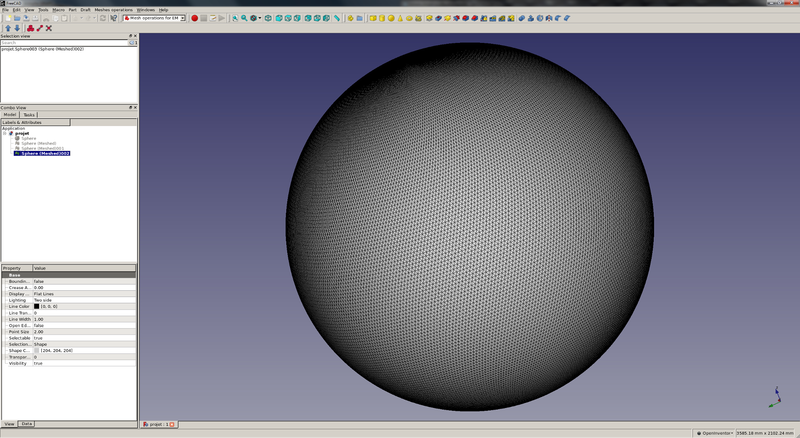 So we simply draw a 1 meter radius sphere in FreeCAD located at (0, 0, 0). 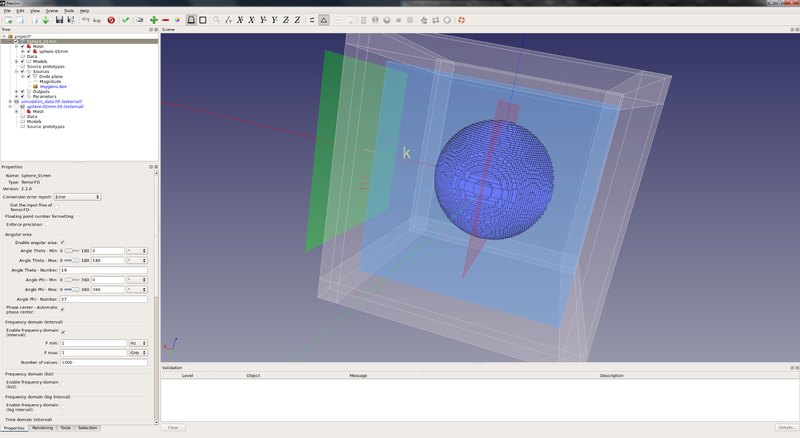 FreeCAD in CuToo can export a mesh in Amelet-HDF format, so that an unstructured mesh of the sphere is returned into CuToo and placed as an input of the MaxSim’s (simulation configurator) simulation. 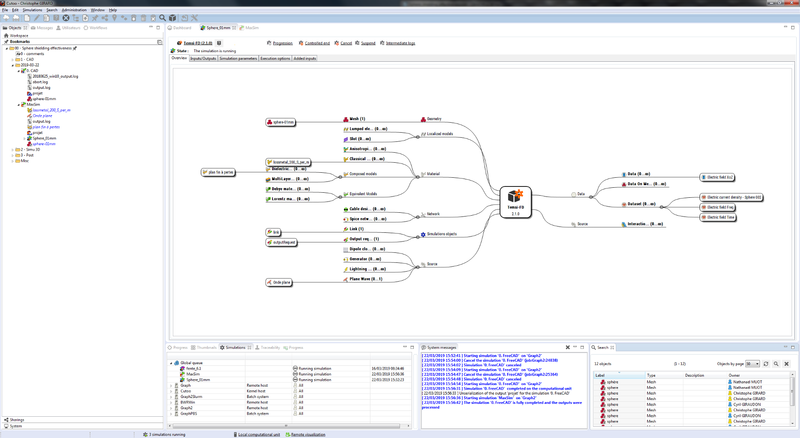 In MaxSim, a structured mesh is generated from the unstructured mesh. The simulation has been submitted on 8 CPU and a few minutes later, we have been able to compare the results against the paper’s ones. 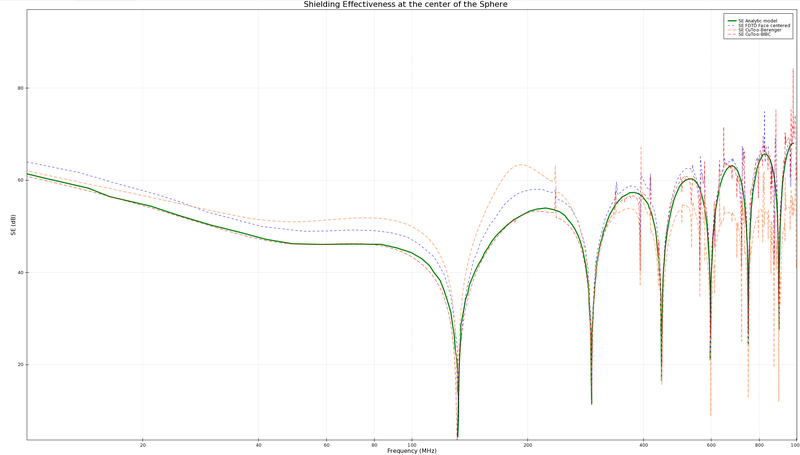 We can see that the BIBC AXS-E3 results are the only ones that fit with the analytic model in the whole frequency range. In particular, in the law frequency range, the results of AXS-E3 are perfectly superposed with the reference result. On all the FDTD curves, we can see some small spikes that are generated by the stair-case effects of the mesh in the high frequency ranges. This effect has been observed and explained in . 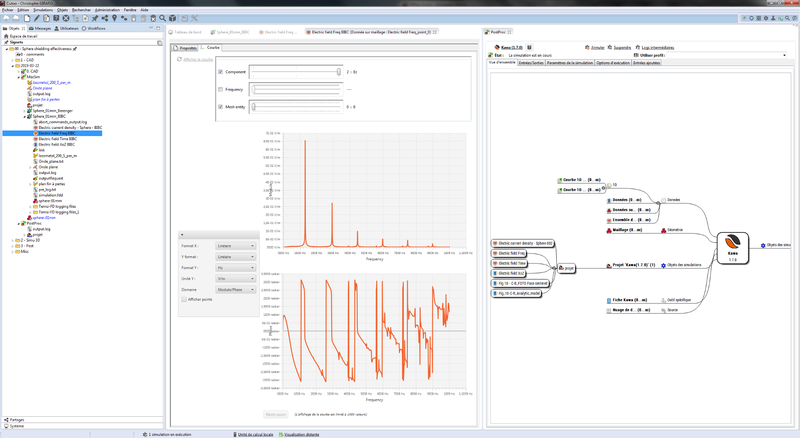 We take benefit of several models available in CuToo to analyze the differences observed in the results. 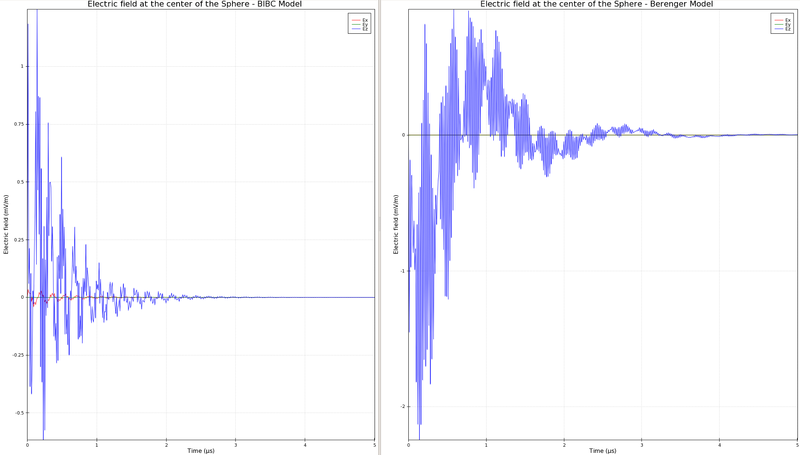 Here above, we can notice the differences in time domain between Berenger and BIBC models at the center of the sphere. Waveforms are significantly different as well as component magnitude of the field. The “face centered method” team had the good idea to compare the shielding effectiveness of the conductive sphere between a MoM stair-cased mesh and MoM smooth (conform) mesh. 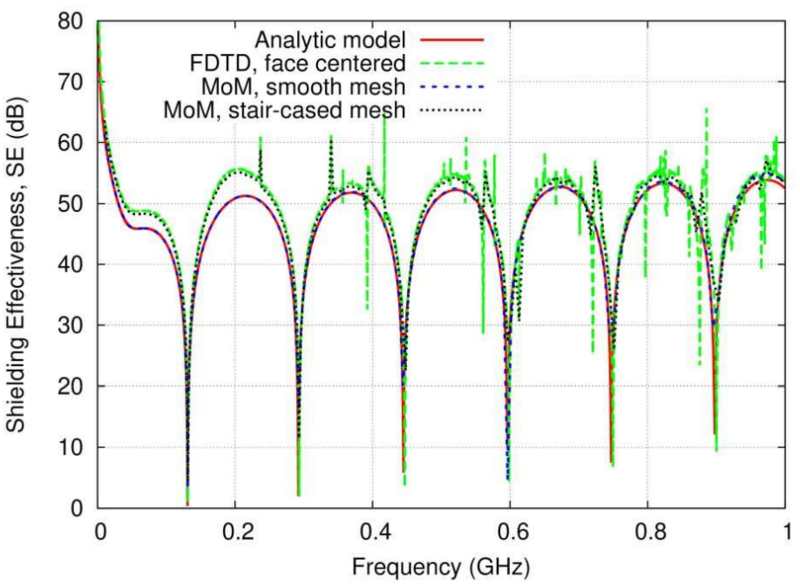 The faced centered method and the MoM stair-cased mesh model give comparable results, it is even clearer at low frequency. That is to say that a finer grid will not help to converge toward the reference but on the contrary a finer grid will help to converge toward the stair-cased model. As we have noted above, at low frequency the AXS-E3 model converge toward the analytic model, so with AXS-E3 a finer grid will help to converge toward the reference. AXS-E3 composite thin sheet model (BIBC) is the only one that allows to perfectly predict the level of internal field inside the sphere. This capability makes AXS-E3 a suitable, high-performance and accurate tool for the evaluation, in a wide frequency range, of electromagnetic fields penetrating into complex cavities. This capability is essential in the context of lightning or HIRF environments in aeronautic industry, and AXS-E3 is perfectly suited for solving this type of problem.